The millennial woman of today wants to define her individuality by seeking color gems and color diamonds as her engagement ring. 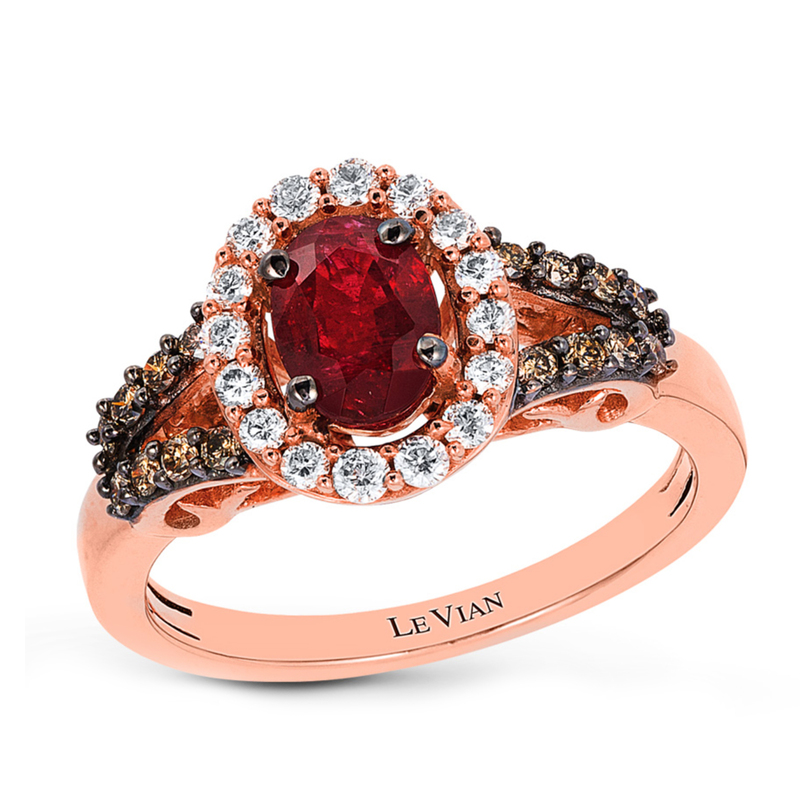 As no one colors your world like Le Vian™, Le Vian® offers today’s bride a flavorful bouquet of choices with its reinvention of the most important category in fine jewelry, the bridal engagement ring. While the classic choice is a brilliant white, Le Vian® has found that precious engagement gems like Costa Smeralda Emeralds™, Passion Ruby™ and Cornflower Ceylon Sapphire™ are top choices today. Bigger center stone styles featuring semi-precious gems like Sea Blue Aquamarine®, Neopolitan Opal™ and Blueberry Tanzanite® offer a bigger look at a more affordable price for those on a budget. And, for those where price is no object, rare natural color diamonds like Sunny Yellow Diamonds®, Strawberry Diamonds™ and Chocolate Diamonds® continue to increase in favor. Shop these popular styles at Kay® Jewelers and kay.com.